Today, a new era in Sierra Leone’s politics begins with the announcement by Dr. Kandeh Yumkella – presidential hopeful, that he is resigning from the UN to pursue his lifelong ambition of playing a major role in changing the country’s decaying politics and turn around its man-made misfortunes. This major announcement will be aired live on UN TV today, 12th March, 2015, in the next few minutes – at 1200PM EST (1600 Hours GMT). You can watch this historic occasion live and be part of what is certain to become the beginning of a major turning point in Sierra Leone’s dark history by following the link to UN TV below. After spending twenty years of his life – giving his skills and expertise to the world, Dr. Yumkella has decided to return home, just six years short of being awarded a handsome retirement package at the UN. What a sacrifice. With the rising number of new Ebola cases, worsening economic crisis and deplorable political chaos, Sierra Leoneans are growing impatient and are yearning for a new direction which only a new crop of leadership can bring. The people of Sierra Leone are yearning for a change – a change that can come from honest, professional and experienced leaders, who are prepared to make tough economic and political decisions irrespective of personal, tribal and regional idiosyncrasies. 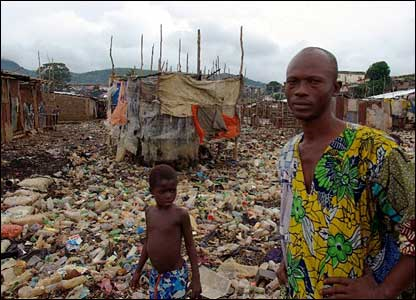 Above all, the people of Sierra Leone are desperate to have a leadership they can trust with their lives – one that will take them out of abject poverty, filth and the ever growing culture of hubris that is currently responsible for the obscene and rampant corruption seen in high places. 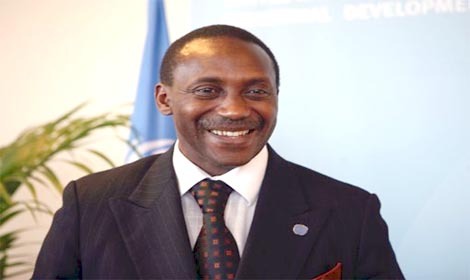 Dr. Kandeh Yumkella appears to have the right pedigree, after spending decades working at the United Nations, to take over the monumental challenge and huge responsibility of transforming Sierra Leone to the glory its people deserve. The Sierra Leone Telegraph will bring you more on this breaking story later. I am one of the happiest who favors Dr. Yumkella for Presidency. It is high time we get patriots like him to be our leader. He will no doubt implement positive changes. I am ready to come along for the very first time in my life to join in a campaign for the right leader. Long live Sierra leone! This is sudden but very good news. Ernest Bai – Koroma, Sam Sumana et al, your days are numbered. You have plundered our country and left it unwell, haggard, weak and afraid. And we are all sick and tired of you. Enter Dr. Kandeh Yumkella – we welcome you with open arms back to Sierra Leone. We know you have acquired a vast amount of experience in your UN job regarding poverty eradication and sustainable development. You are aware that every human being should have the right to good health care, clean water, constant electricity, a decent standard of living and that corruption is detrimental to any development. The Sierra Leonean people deserve all of the above and more. Good luck in wrestling State House from the grip of these blood-suckers. Please do not allow them to corrupt you, or compromise your good work ethics and professionalism which you have acquired working for the UN. Many people are counting on you and have faith in your abilities. So please don’t let us down.